“What is a sustainable lifestyle? // What will a sustainable future mean for the way we live, move, and consume? // How do we know if our lifestyles are sustainable or not? // How can our aspirations for life and well-being improvements be enabled sustainably (within one planet)? 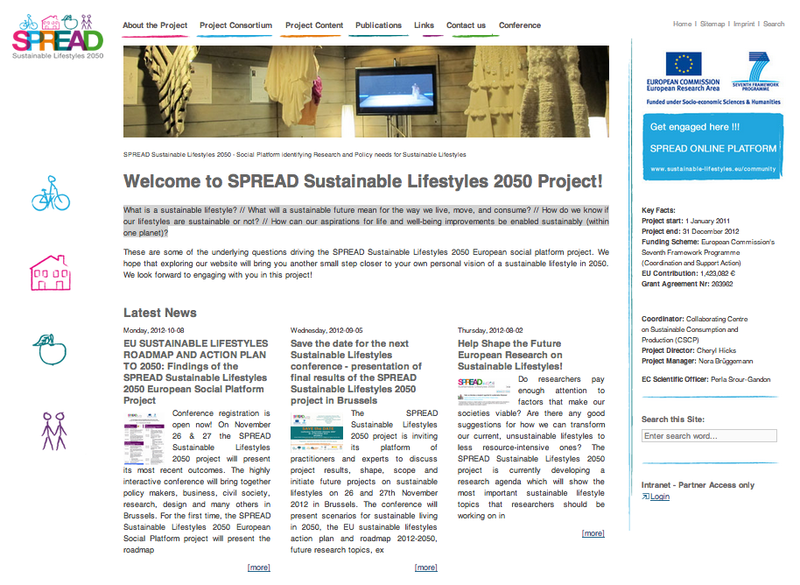 What is SPREAD Sustainable Lifestyles 2050? Find out more on the SPREAD PLATFORM ! To access the SPREAD PLATFORM you may click on the orange link above or the image below.